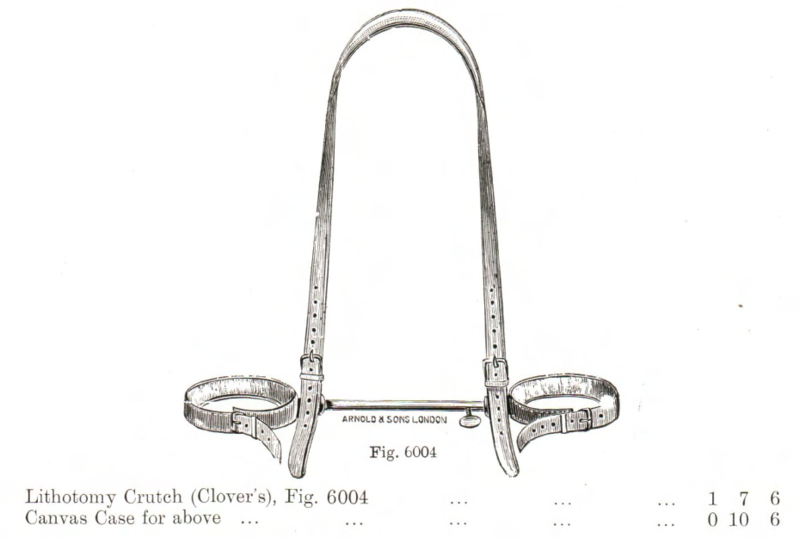 Clover's apparatus, as pictured in ref 2. 1. Marston AD. A short survey of the life and work of Joseph Clover. The Medical Press. 1946. 2. Thompson H. Practical Lithotomy and Lithotrity or, an inquiry into the best modes of removing stones from the bladder. Second ed. London: J. & A.Churchill; 1870. Joseph Clover designed this device to maintain patients in lithotomy for urological procedures. 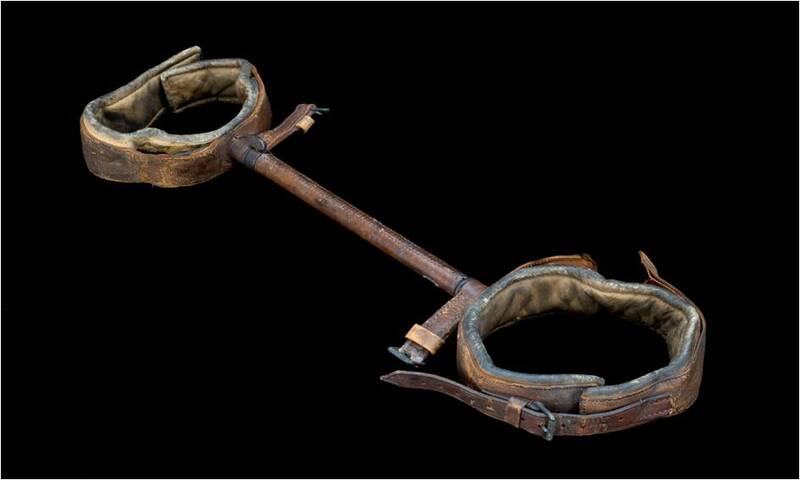 It was also used for obstetrics and was still being used in the early 20th century. In 1873, Clover described the device below in the Lancet. As with all his surgical inventions, it was intended for use by urologists. Prior to abandoning his surgical practice for anaesthesia, Clover was developing skills in lithotripty. He subsequently worked closely with many of the leading urologists of his time, obviously maintaining a keen interest in the surgical procedures and cooperating with his surgical colleagues to develop equipment for their needs - as well as providing anaesthesia for the patients.